Black 2.25" Water Tank CAPS, select 1) standard CAP 2) EPA approved 3 - click CAP. Fits our 3 sizes of water tanks. Non-vented. New EPA/approved 3 - click CAP, so when you tighten all the way, it clicks, not allowing you any more force. We use this CAP on all Trucker units and torch kits, were a leaking CAP can not happen. 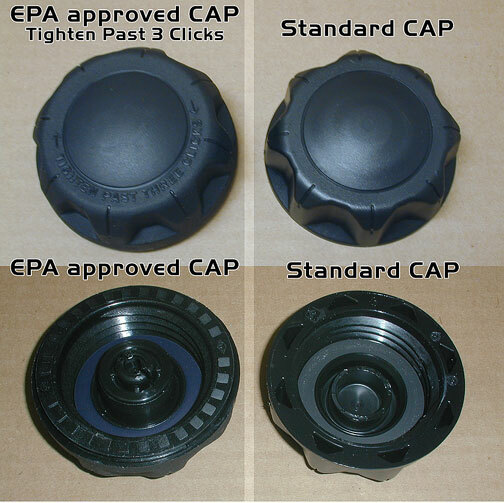 The standard CAPS seal well, but the EPA CAP guarantees a tight seal.